What is it about European cities with a close proximity to London that makes you overlook them? I did it with Amsterdam (ended up going, loved it), and the same with Bruges (ended up going, sprained my ankle. But that’s a whole other story). 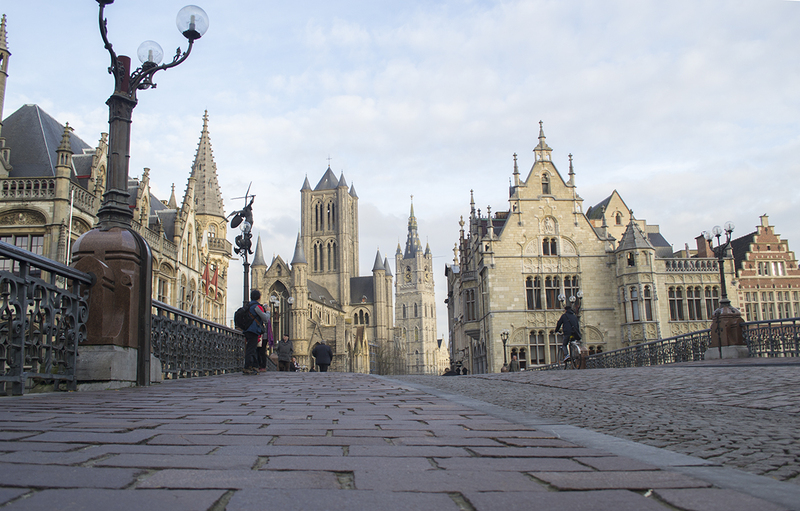 I travelled to Ghent on the Eurostar from London and it was a piece of cake. It was just two hours from London St Pancras to Brussels, and then a half hour IC train over to Ghent. Sure you could also take the plane, but I find the train journey so soothing. Plus, only having to check-in at the Eurostar half an hour before your train leaves makes the journey feel a lot shorter and less hassle. Top tip: The city takes on a whole different vibe once the sun goes down. It’s well worth taking a post-sunset stroll around the city with a tripod. Head to Graslei for gorgeous reflection shots! 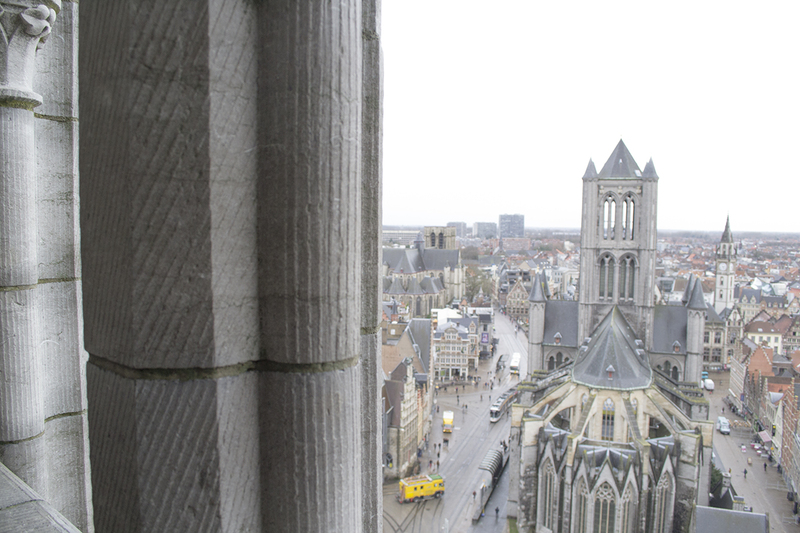 Not just ‘ANOTHER’ castle, and ‘ANOTHER’ church, Ghent’s historical spots are riddled with stories. Take the Ghent Altarpiece, a 15th century polyptych that’s the ‘most stolen artwork of all time’; part of the original painting was stolen back in 1934, and the thief entered into negotiations with the bishop via the local newspaper. Negotiations fell through, and the section is still missing today. You won’t notice though, as a local painter stepped in to fill in the gaps with a reconstruction. The Gravensteen, a castle in the heart of the city, was another place I popped into during some spare time I had. The outskirts of the castle are pretty, well, castle-y, but it’s the stories around it that capture the imagination. The torture room was by far the busiest room of the castle (which says a lot about humankind, I think), and is filled with instruments of terror designed to extract a confession or more information. 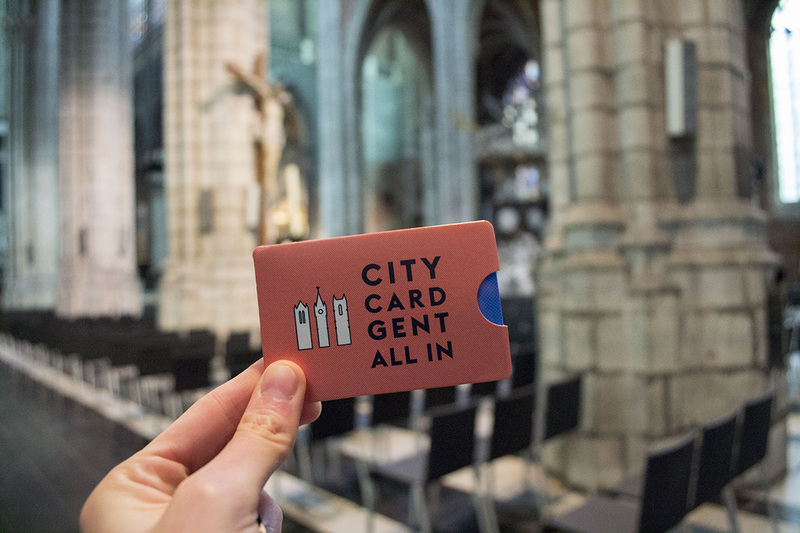 Top tip: It’s worth investing in the Ghent City Card (€30 for 48 hours, or €35 for 72 hours), which gives you access to all the tourist attractions, plus transport. 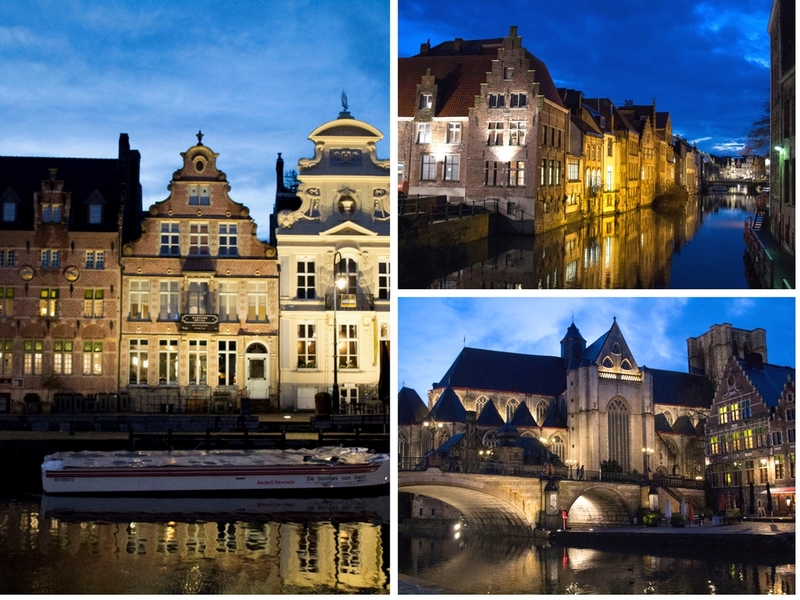 It can be picked up from the Ghent tourist office, as well as hotels, museums and attractions. 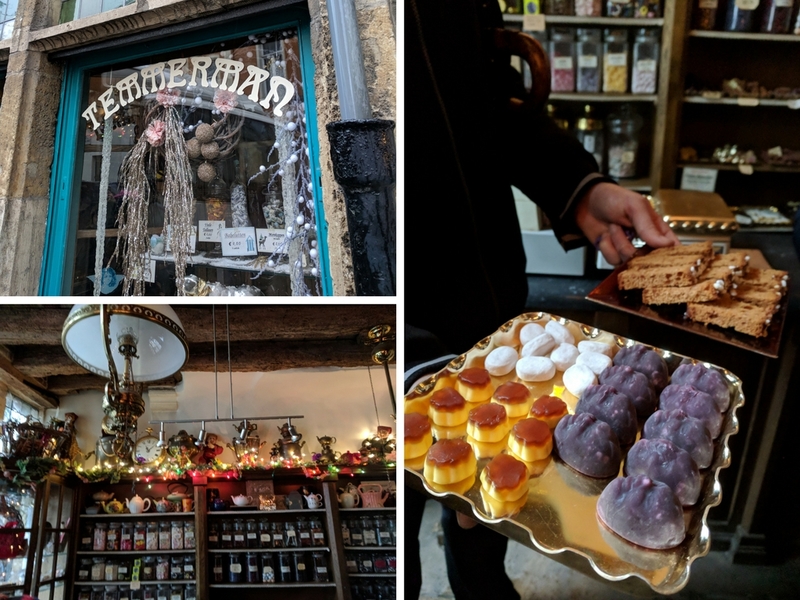 During our walking tour we had the opportunity to sample several pieces of cheese, chocolate, candy and meat (Miss Vegetarian here obviously gave that last one a miss), and oh my gosh I think I’ve found heaven. 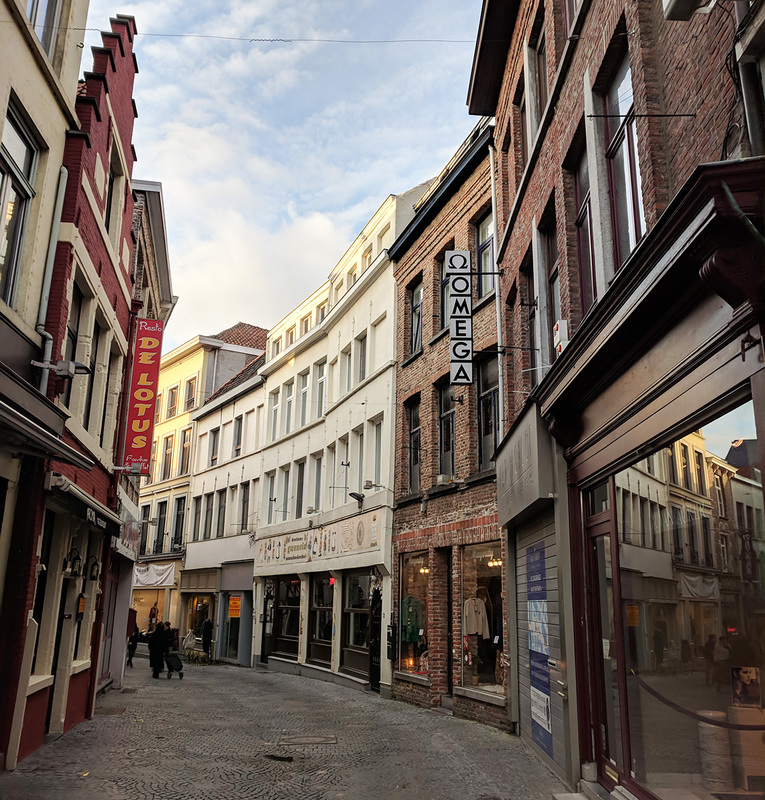 Ghent is still home to a huge number of family-run, local shops, which are especially good to support if you’re ever in town. InChoc Daskalidès’s chocolates were smooth, melt-in-your-mouth little morsels of heaven. Every time I ate one, I had to stop everything I was doing in order to savour every last bit of the velvety taste. They were so good I ran back after our tour and bought some to take home! 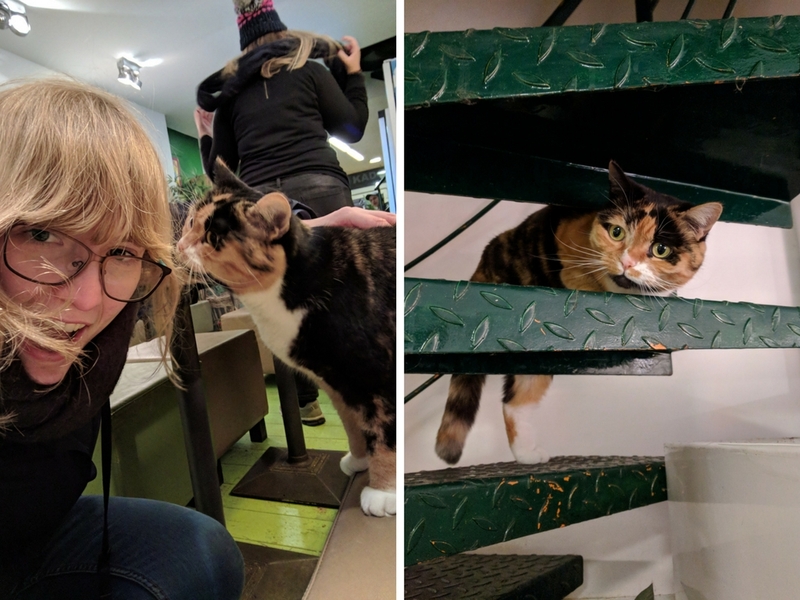 And while we’re on the subject of chocolate, Roma (from Roaming Required) and I dropped into Galerie Ganache, an art gallery/cafe late one evening. 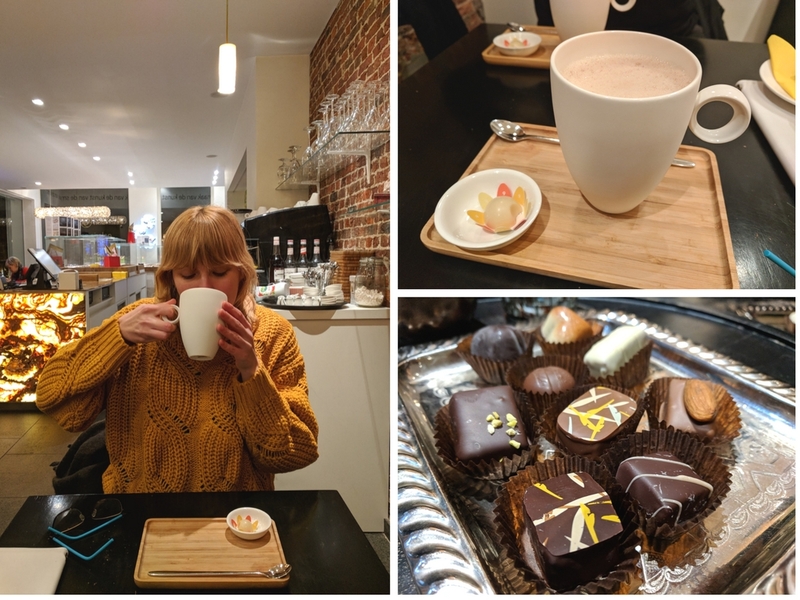 We tucked into the most delicious hot chocolate, complete with our choice of chocolate on the side. Yum. The cheese (from Petite Normandie) was on a totally different level to what you’d get in your local supermarket, while the sweets were delicious, if a little sickly after a few too many! They were from the most adorable, old-fashioned shop called Confiserie Temmerman, which can be found in front of one of the most scenic spots in the city. On this trip I was also introduced to RoomeR, an elderflower-flavoured alcoholic drink which can be used as an aperitif and an accompaniment to dessert. Being a massive elderflower aficionado, I completely lapped this one… so much so, I had to track some down for myself to take home! Top tip: Head to the Holy Food Market at Beverhoutplein 15. It was inspired by the food halls in Copenhagen, Barcelona and Rotterdam, and features cuisine from 16 different cultures all under one roof. 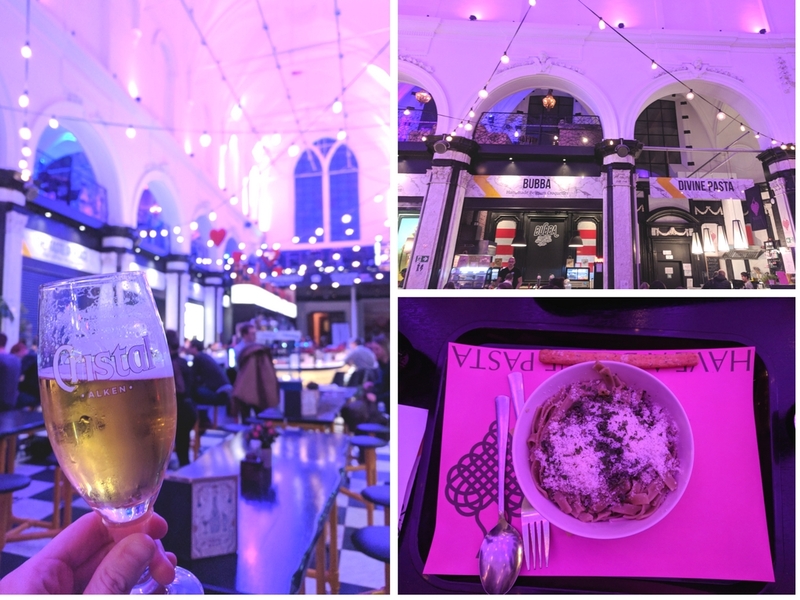 The venue itself is an old redecorated 16th-century chapel with arches, lights and beer. I had some homemade green pasta with pesto which was stodgy and warming – just what was needed after a cold evening! 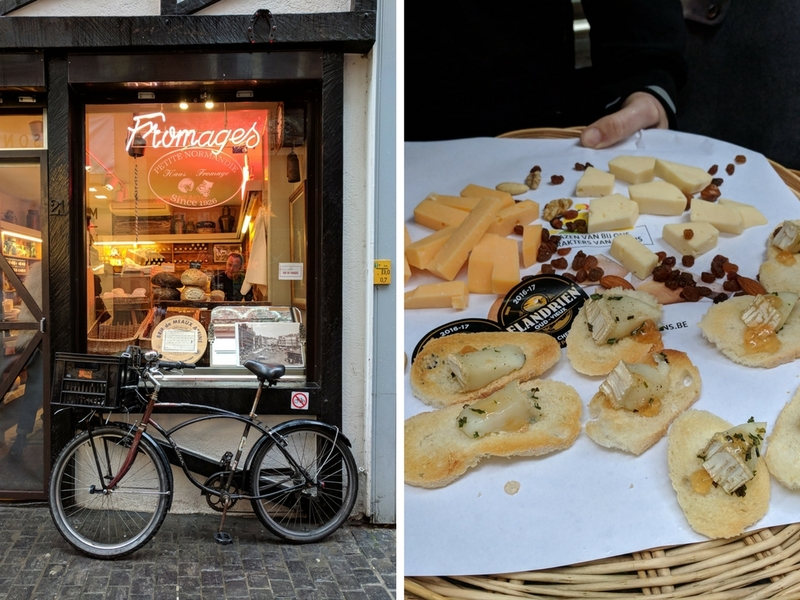 Named the Vegetarian Capital of Europe, I went to Ghent with particularly high expectations and I wasn’t disappointed. 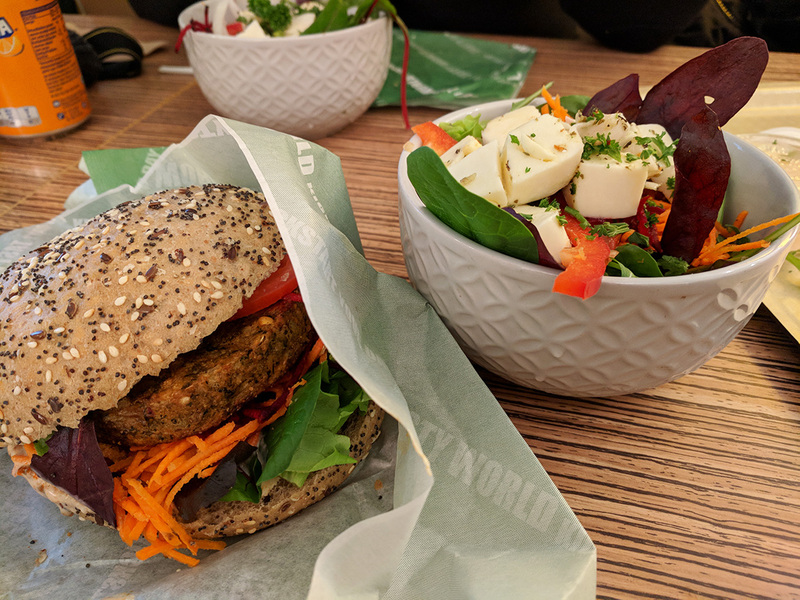 The real highlight was Tasty World, a vegetarian fast food chain with two restaurants in the city centre. It was so unbelievably satisfying and refreshing to know I could have whatever was on the menu, from burgers to hot dogs via salads. In the end I opted for the Moroccan burger which was absolutely bursting with flavours and spices. If I lived in Ghent, I could totally see this place becoming my go-to place for lunch! Top tip: Whatever you do, go to the Hoogpoort brach. The shop has a 7-year old cat called Uh-Oh who is absolutely stunning and tried to eat my salad, but I still love her. There are so many street art spots around the city that you could easily spend half a day just walking around finding them all (here’s a map of where to find the best spots). 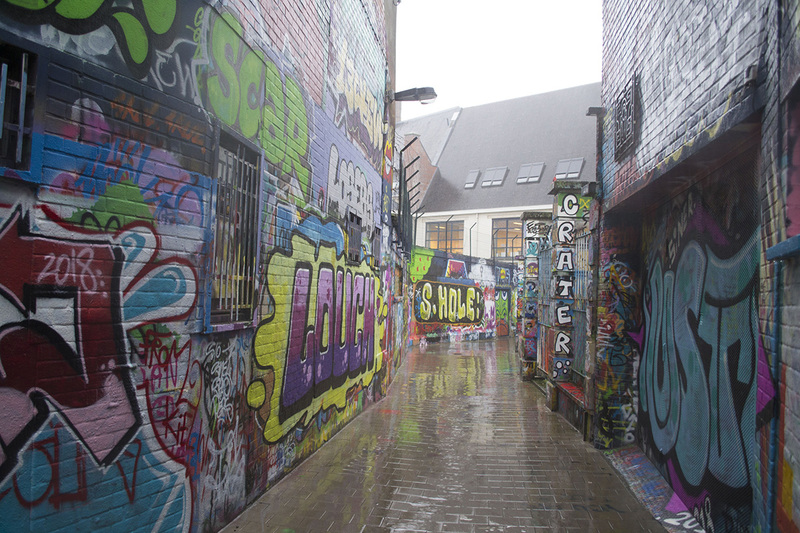 If you’re short on time, I’d recommend heading straight for the Werregarenstraat, an alleyway full of colourful graffiti. 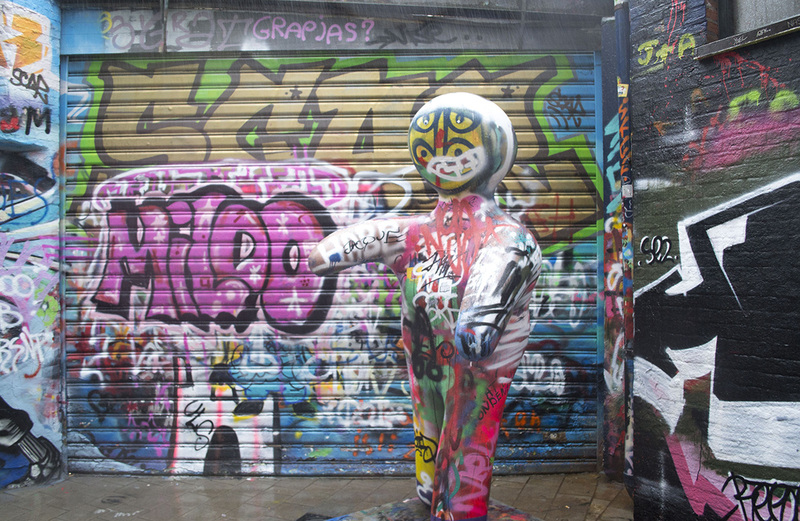 The artwork is constantly changing, with street artists free to decorate it with whatever takes their fancy. 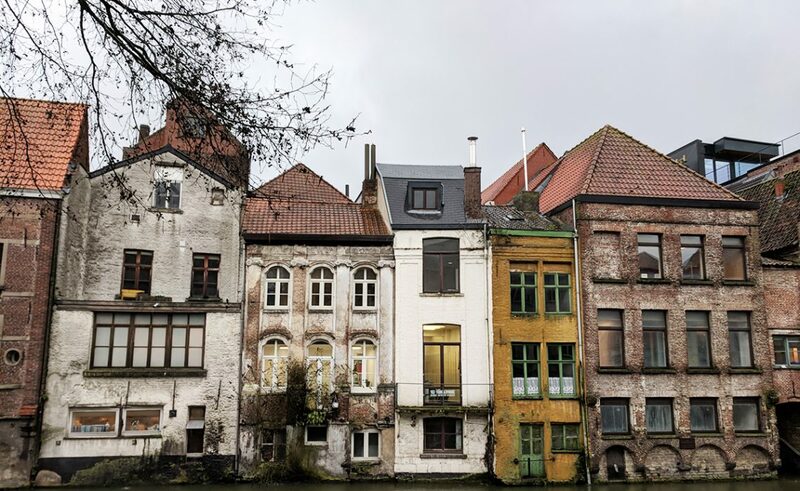 I met with locals, members of the Visit Flanders and even the Director of Culture, and it’s so unbelievably heart-warming to see just how much love everybody has for their city. They were all so unbelievably accommodating, enthusiastically telling us things we mustn’t leave without seeing, and titbits of history that literally surrounds you. I’ve genuinely never met anybody with that much love and pride for their own city! 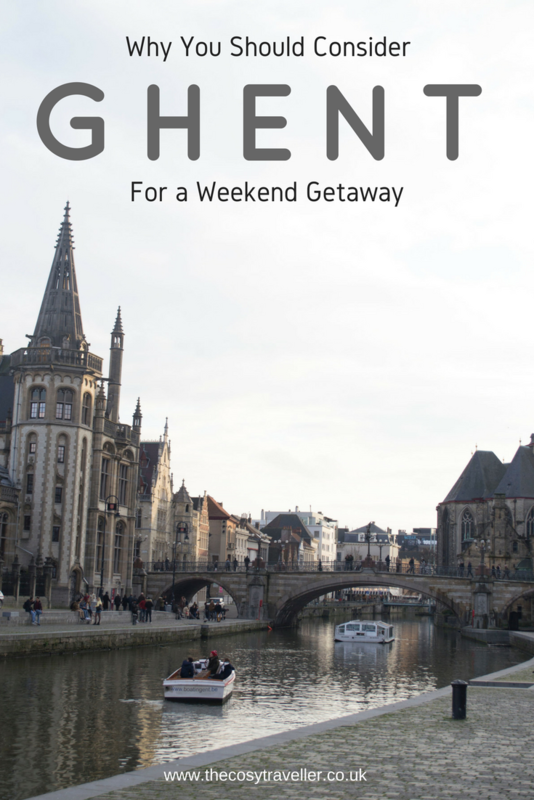 Have you been to Ghent? If not, would you consider it for a weekend getaway?